Adv. Meir Fuchs is a partner at Gideon Koren & Co., and one of the recognized Israeli attorneys practicing high-tech and life sciences law. Adv. Fuchs specializes in corporate law and securities, high-tech and bio-tech, international private law and cross-border litigation. Adv. Fuchs has been representing companies within this practice field since the mid 90’s, and has dealt with several IPO’s and public offerings of Israeli companies on NASDAQ, and with numerous private placements and investment transactions. Adv. Fuchs has in-depth experience in representing both entrepreneurs as well as investors in complex cross-border transactions, conducting and supervising due diligence on behalf of investors, joint venture agreements, IP licensing agreements, start-up fund raising, and shareholder agreements. Adv. Fuchs was admitted to the New York State Bar Association in 1984, and to the Israeli bar association in 1986. He holds a J.D. degree (with honors) from Yeshiva University Cardozo School of Law in 1983, an M.I.A degree in international relations from Columbia University in 1979 and a B.A. degree in political science from New York University in 1977. In addition, he studied political science at the American College in Paris in 1976 and earlier at City College, City University of New York, where he was awarded the Regent’s Scholarship. Adv. Fuchs is a member of the Tel Aviv Bar Association Hi-Tech Committee. Adv. 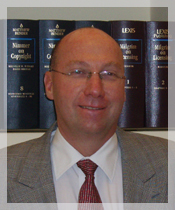 Fuchs is the author of many articles concerning the Israeli legal system as it affects foreign investors and international activities of Israeli entities. Adv. Fuchs speaks four languages – Hebrew, English, French and Hungarian.